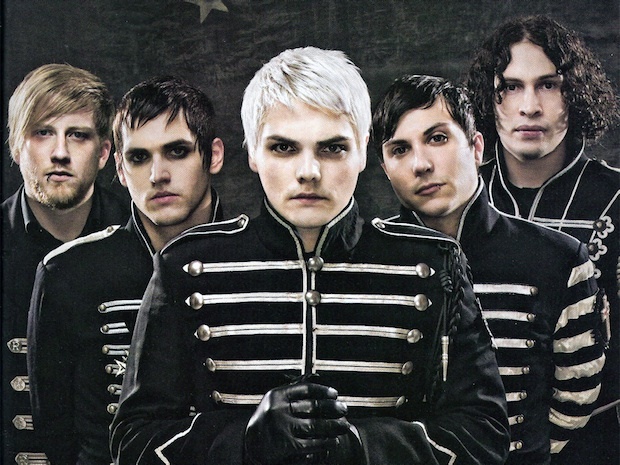 Many cruel jokes are played on April Fool's Day but there are some things you just don't joke about, and one of those things is the reunion of My Chemical Romance. But what if it's not a joke? Trying to decipher between what is true and what's not is no easy task on April Fool's Day seeing as it's not uncommon for bands to play jokes on their fans during this terrible holiday. But after an Instagram post from an account with a “@mychemicalromance” handle surfaced teasing new music, fans began to freak over what could possibly be nothing more than a cruel, cruel prank. It's been a while, Killjoys. Friendships are healed, music is back. You'll hear from us in the coming weeks. Debates began almost immediately over the authenticity of the post, seeing as it is not a verified Instagram account. Comments such as “Is this the official account though?” and “This is a fan account!” are flooding the post's comment section, while others continue to hold on to the slightest hope that maybe there is a bit of truth to it after all. One thing is for sure, our tiny emo hearts cannot take such a post on April Fool's Day. If you need us, we'll be wiping off our eyeliner and crying in a corner somewhere. Were you just as crushed by this MCR post? Do you think there's any authenticity to it? Let us know your thoughts in the comments below!